In the mood for a new look? 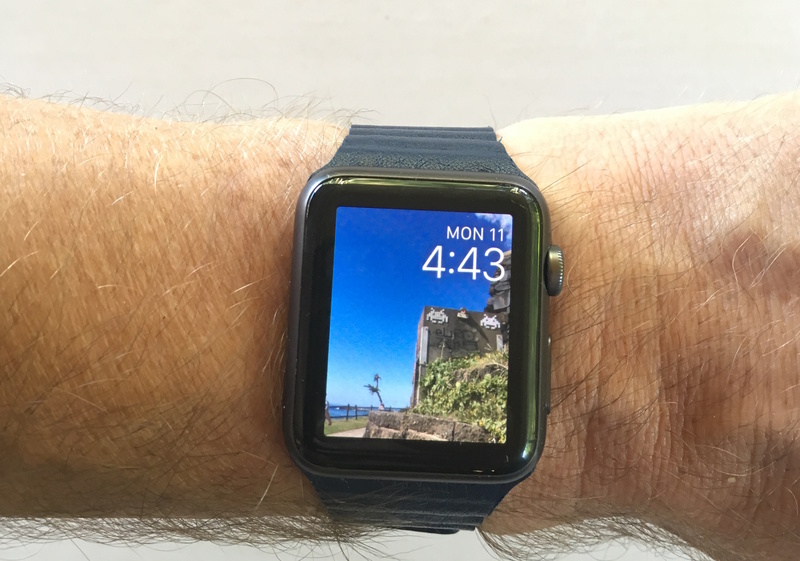 One of the features of an Apple watch is the ease with which you can switch one band for another with a different style or colour. 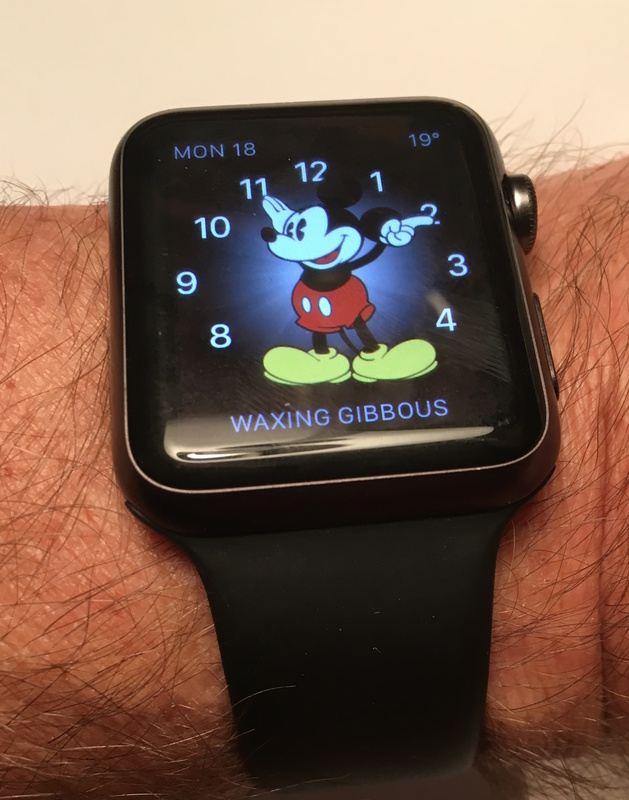 The aluminium Watch Sports comes with a plastic (‘fluoroelastomer’) sports band which is available in a large range of colours. I have a black ‘space grey’ with black sports band. The Stainless Steel Watch comes with a choice of bands – the sports band, three leather bands (in a range of colours), or two metal bands. The cost of the watch depends on the band chosen. You can also purchase extra bands separately – but *danger Will Robinson* – I visited the apple store to discover that they are not cheap. The Sports Band is A$79. 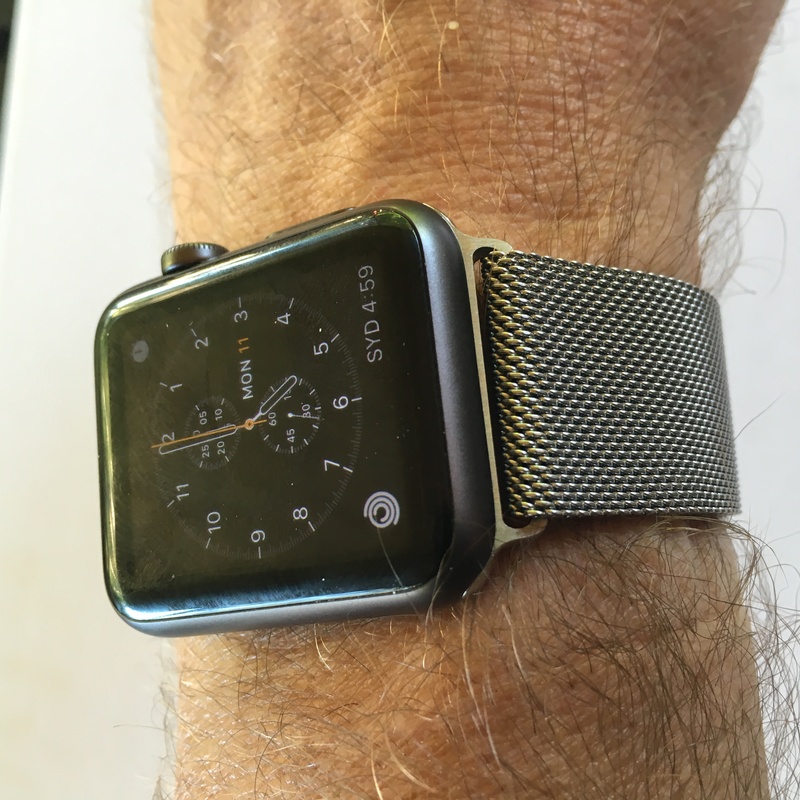 The Milanese Loop, Classic Buckle or Leather Loops are A$229. The Modern Buckle is $379 and the Link Bracelet is $679. Third party manufacturers to the rescue. 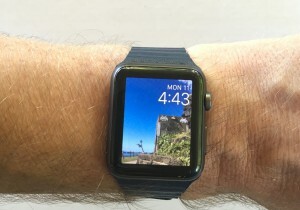 Watch bands are now readily available on eBay. 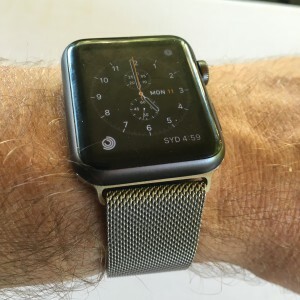 I purchased a Milanese Loop and a Blue Leather Loop for about $30 each. I’m a happy customer.